Being touted as one of the top names in the search engine optimization market, Ahrefs has been steadily climbing up the ranks. The company has now emerged as one of the top crawlers on the market. The Singapore based company believes in creating valuable and easy-to-use products which will help their clients always stay one step ahead. The motto, which Ahrefs swears by is “First do it, then do it right, then do it better”. Working with this manifesto helps the online tool deliver excellent ad-hoc keyword analysis, SEO monitoring and position tracking, content rich research and an exhaustive comparison of competitors. At present, Ahrefs stores one of the biggest backlinks database available on the web, with the latest backlinks being updated every 15 minutes and the crawler working with up to 6 billion pages a day. An association with Ahrefs will help clients increase their search traffic and they will be able to find new methods of becoming visible to more customers. One major use of this online tool is to get to know more about one’s competitors, their functioning and so on. Ahrefs.com lets clients understand why their competitors are far ahead of them. It also offers advice on what needs to be done to outrank and come ahead of their respective competitors. Ahrefs is a good addition to any company’s search engine optimization tool kit as it offers the best crawlers and comprises of the maximum back link tracking tools than any other SEO tool available in the market. The tool can be divided into main categories like site explorer, keyword explorer, content explorer, rank tracker, site audit, alerts and SEO tool bar. There are extra components as well like domain comparison, batch analysis, link intersect and content gap. Every week, Ahrefs adds new tools and features. 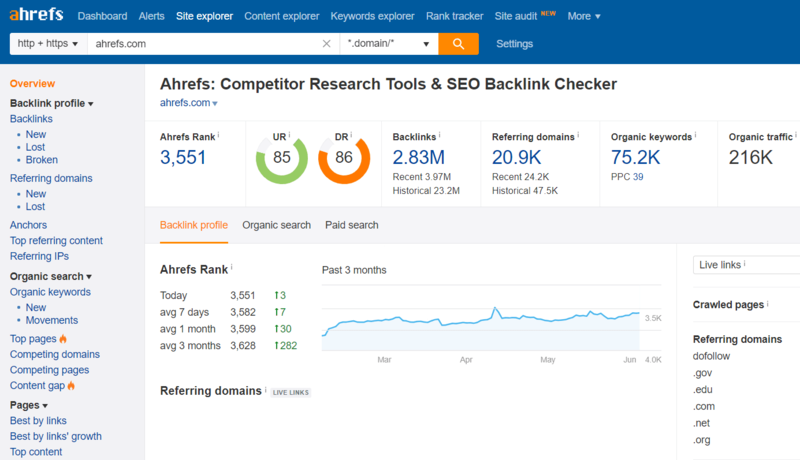 Ahrefs mainly offers services like competitive analysis, keyword research, back link research, content research, rank tracking and web monitoring. Ahrefs offers its customers with round-the-clock customer support through their helpline team which is always available on chat/phone and call/e-mail. The company has a customer-only Facebook community where clients can directly post queries to SEO experts and digital strategists, who are always ready to help. Ahrefs has on its blog and YouTube channel, many marketing tutorials, which explain the tool in detail. Clients can make use of these to get to know the tool better. Ahrefs works with well-known names like Facebook, LinkedIn, Adobe, Netflix, Uber among others. Ahrefs works on many indexes like content, keyword index. First this you notice when you open the Ahrefs page is the navigation bar, which is scarce. On the navigation bar are tabs for Dashboard, Alerts, Site Explorer, Content Explorer, Keyword Explorer and a Tools drop-down. Next one comes to the Ahrefs application programming interface or API, the browser and other links like domain comparison, quick batch analysis. To begin using the tool, in the search bar enter a domain, URL, topic or keyword of your choice. Next, the dashboard will throw up all your presently running campaigns. The user can click on any of the campaigns to enter the site explorer, which will provide that site’s latest monitoring data. The site explorer page also includes interactive data visualizations, which offer live data on referring domains, pages, backlinks and a global view of the search traffic. After your use of the search engine, Ahrefs lets the user configure mail alerts to keep track of backlinks, latest keywords and brand mentions. This online tool has a simple alerting system, which helps user track the overall SEO history of any website and check the required keywords. Helps understand competitors better: The first advantage of using this tool is that it helps users get to know their competition better. The keyword analysis section helps a lot with this. 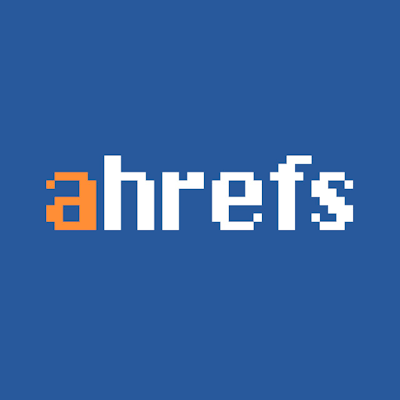 Filters links: The Ahrefs tool filters the links into high quality, low quality to provide correct data, thus saving a lot of the user’s time. Works really fast: The link crawling time of the tool works at very high speed and they are constantly updating their KW data base, which is believed to the largest one in the Internet. Very expensive: The biggest drawback of this tool is that it is very expensive and not everyone can afford it. Most users have complained about the non-negotiable prices of the tool. It’s an overall positive verdict for the Ahrefs tool as users are happy with their SEO experience. With its high-quality crawling and domain analysis, it conducts extensive research for the customers. 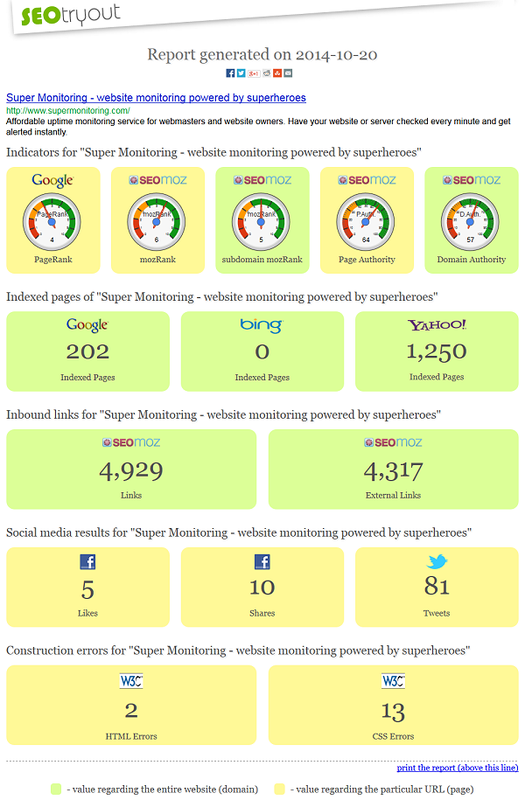 Users also can track their competitors to get an idea how they stand in comparison. We give the tool a double thumbs-up! Posted February 11th, 2019 in SEO/SEM. Tagged: backlinks, index, keyword research, optimization. Search Engine Optimization or SEO is one of the most powerful tools used by organizations to get ahead of their competitors today. Using SEO techniques and quality content that’s optimized for popular search engines like Google, Bing, etc. organizations ensure they make their information reach their prospective customers on time and in the right way. Consider a scenario where you’re in need of a new computer. In today’s world, whenever people need to buy something, they study about it on the Internet first. Thus ideally, you’d research about which PC or laptop model would fit the configuration you’re looking for, be from a reliable manufacturer, and still be within your budget. Whichever laptop model is shown on top in Google or Bing search results would have a better chance of getting bought. Agreed? Now if you’re a laptop / PC manufacturer looking to maximize sales, you’d want your product to feature on top in search results, right? In order to do that, you’ll need to know how to market yourself correctly. And one of the most effective ways to do that is to flood the Internet with search engine optimized content that promotes your products / services. But what if you don’t know how to generate SEO content that’s better than what your competitors are using? How do you still get ahead? It’s simple really. By finding out what techniques, keywords, and content your competitors are using to market themselves. And SpyFu lets you do just that! 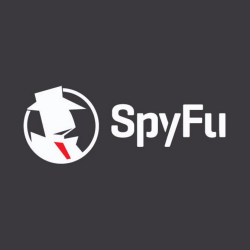 SpyFu literally lets you spy on your competitors; meaning you can find out what makes their online marketing successful. The tool lets you discover what keywords your competitors use, see websites that are spending money to get the right Adwords, and find the most profitable keywords that suit your business. 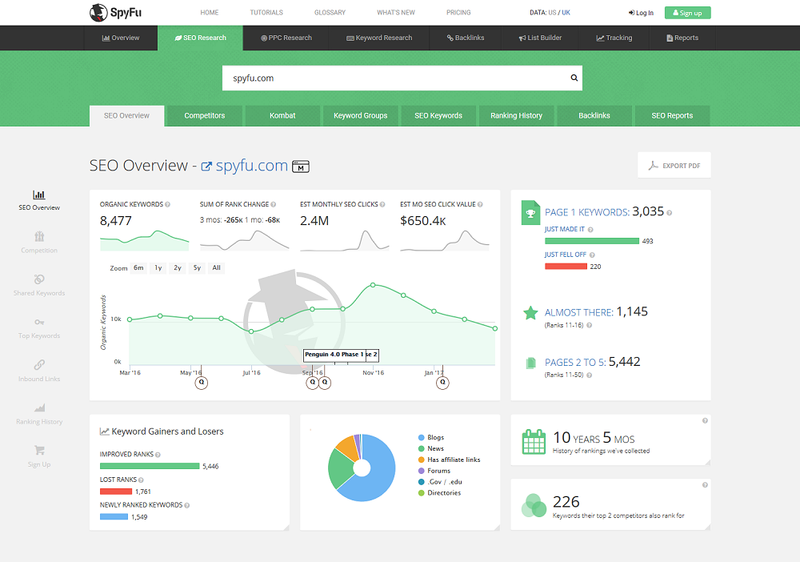 The principle SpyFu works on is straightforward; search for any domain (competitor domains / URL will do) and SpyFu lets you see every place the domain has shown up on Google, every keyword that domain has bought on Adwords, every organic rank, and every ad variation in the last 10 years. Plus, the tool guides you connect with these domains and find traditional leads methods (social media, email, phone, and address) you can’t find anywhere else. 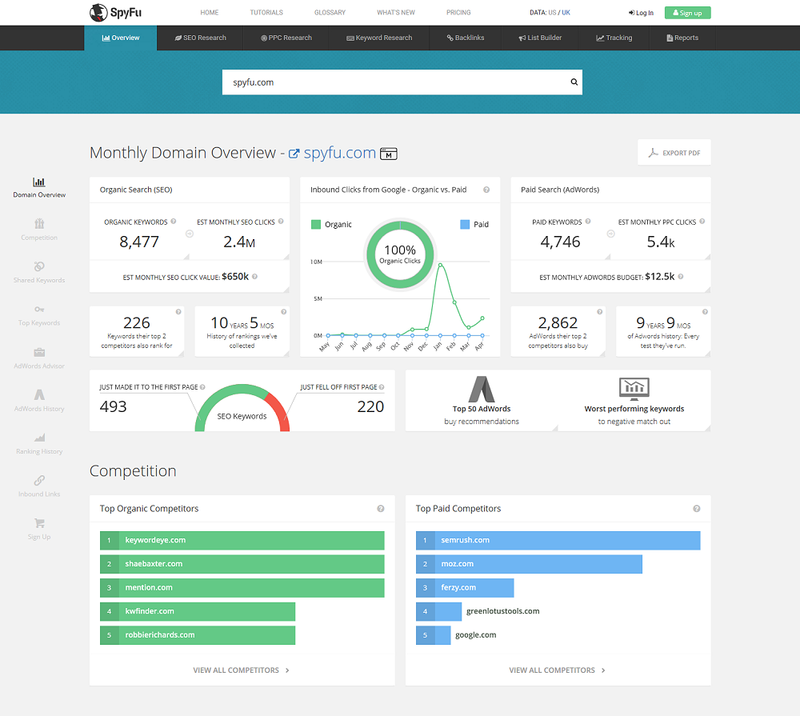 SpyFu thus lets you improve your search engine ranks by tapping into your competitors’ keyword strategies. The tool makes understanding SEO as easy as PPC with branded reports. If you know SEO and recognize the various terms used in the field, you’d be good to proceed from here on. You’d have enough intel to lift up your online marketing a few notches. Moreover, the same page will show you a plethora of options to study about your competitors SEO strategies. You’ll get to see various graphs and colored depictations of information that you can use to tap on the areas you were earlier missing out on. So is the tool free? If you’re satisfied with the information the free version of the tool (described above) shows you, you don’t need to pay anything. However, if you want access to premium features like unlimited search results, unlimited data exports, unlimited domain overviews, hundreds of sales leads & domain contacts, thousands of weekly tracked keyword rankings, API calls, custom branded reporting, and much more, you can sign up for one of the 3 paid plans they have. And along with these features, you get access to a lot more with a 30-day money back guarantee (if you aren’t pleased with it), no strings attached. The pros are many. The con is only one – the terminology used in the tool can confuse any beginner. But then, you’d actually be using it only if you know what you’re doing, right? The tool actually fares pretty well on our test parameters. It’s simple to use, is affordable, has no strings attached, and does what it claims. But then, like we always say, you’ll need to try it out to see how well it turns out for you. For now, thumbs up from our end. Posted April 18th, 2017 in SEO/SEM. Tagged: backlinks, competitive intelligence, competitors, keywords, rankings, seo, tracking. Have you checked the SEO of your site lately? If you haven’t, what are you waiting for? Now a days it is mandatory to check how good is the SEO of your site, there are various websites that can help you with that and one of them is SEOtryout. A site providing you a basic run of the SEO on the basis of the generic SEO terminology on a logarithmic scale of 0-10 or 0-100. There are many filters to the process and the major key players that need verification are SEO ranks for your website, number of pages indexed by Google, Bing and Yahoo, number of external inbound links to your website, social media results (Facebook, Twitter), HTML and CSS code validation. SEOtryout is an extremely simple yet effective website that allows all users to quickly and easily verify their online site with online verification tools. You simply have to enter your website and it generates a detailed report on your SEO factors. The site breaks down the basics and helps us to better understand SEO and also makes your website easy for you to understand in the terms of the search engines. Search engines have become increasingly sophisticated; in many ways they still can’t see and understand a web page the same way a human does. Seotryout.com helps you to figure out what each page is about, and how many factors are affecting its visibility online in turn contributing to define your page rank, site ranking and also your page landing. The site has a very basic visual quality ensemble in a single page ensuring easy user interface. There is a single bar for adding site URL which enables the report generation in a point blank new tab. The report is displayed in a combination of colorful symbols and speedometers with the use of basic social media logos for user convenience. The large and simple font makes it a good read. The Web design is such that it matches the purpose of the site, it’s a clean and unobtrusive website. Despite the enormous amount of information on the website their design looks very structured. Everything about this website looks appealing; the logo, the colors, and the way they present their content, the tabs that prove conformity with effective branching and distribution. The best part about this website is that there is no registration required. It easily goes through the entire SEO involvement in your website starting from your HTML code your CSS and design elements, Meta tags your social media connections, how many times Facebook users clicked “like” on your URL, how many times this URL was shared on Facebook and how many tweets and retweets were made using this URL. It’s not done yet the site also gives you verified figures of internal, external links and back links involving your URL giving you an exact idea of traffic control on your website also making you aware of the bounce rate on your website. Today, links are mainly achieved through developing original content that is in turn, shared across social media. Links to your content on Facebook, Twitter, LinkedIn, Google+, YouTube and other social networks help the search engines understand what websites are credible and should be ranked for what keyword phrases. For instance, a link that is tweeted many times as opposed to a link that was never tweeted, will have higher visibility in search engines since it is assumed it is better content because many have decided to share it with their social networks. Such sharing is analyzed by the site and a low number on the social media links may suggest less valuable content on the site. The most important part of the analysis is the Page ranking, moz ranking, sub domain ranking, they severely affect your site visibility and accessibility. For e.g. Google uses a multitude of factors to determine how to rank search engine results. Typically, these factors are either related to the content of a webpage itself (the text, its URL, the titles and headers, etc.) or measurements of the authenticity of the website itself (age of the domain name, number and quality of inbound links, etc.) jointly determining the page rank. According to Google: PageRank works by counting the number and quality of links to a page to determine a rough estimate of how important the website is. The underlying assumption is that more important websites are likely to receive more links from other websites and that’s how it is evaluated with the site. Crawling and indexing are processes that can take some time and rely on many factors which in turn develops your site rank. In general, No Seo verification site can make predictions or guarantees about when or if you’re URLs will be crawled or indexed. This site can help you understand the current positioning of your site. Keep in mind that while the Sitemap file can help learn about your site, it does not guarantee indexing or increasing your site’s ranking. While the information provided by the site is highly valuable, at the same time the site falls short in providing the understanding, terminology or the derivation analysis of any numbers or figures provided by the site. It’s very evident that the major key players have been validated but since the site is SEO-TRY-OUT, there is no mention of content validation on the site which by the current Google updates is the main key to site ranking and crawling. Also the site gives a logarithmic status on 1-10 0r 1-100 while not defining the competition of the concerned URL. There is no compared status provided or suggestions and facts provided. When we talk about a site that can provide the SEO ranking for other sites this site in itself needs to work on creating more detail. But as long as a simple refined report is concerned the site is an excellent medium to find out your site’s SEO status. 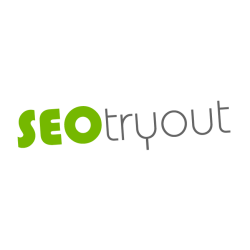 Check your SEO status now and try it with SEOtryout! Posted October 20th, 2014 in SEO/SEM. Tagged: authority, backlinks, domain, mozrank, page, pagerank, ranking, seo, serp, subdomain, validation. Stealing and publishing content, ideas, expressions and thoughts authored by some other writer and representing it as one’s own authentic work is called as Plagiarism. Plagiarism can be considered as an academic dishonesty, though it is not a crime but a serious ethical offence and Plagiarism can be considered equivalent to copyright infringement. With an increase in the use of internet over the last few decades there has been an increase in the number of cases of violation of right to intellectual property or copyright infringement. After giving in a huge amount of time and efforts to create fresh, unique and engrossing content for your blog, you won’t like it if someone steals or copies it and publishes the same content on his own website with his name or without giving you the credit for the content which he just copied from your website or blog. Plagiarism is one of the biggest problems faced by people on the internet today. Webmasters along with the popular search engine, Google are trying to figure out ways to combat plagiarism so that the people who use their search engine get the most useful results. Copyscape.com is an online service which allows you to check if your content is unique and if it has been copied on some other website. Through Copyscape you can ensure that the whole of your content or a part if it is not in use on some other website. Copyscape is used widely by many big companies on the internet to keep a check on the theft of content from their websites. Of all the anti-plagiarism tools available online Copyscape is the simplest, easiest and best available. It not only helps webmasters to keep a check on the copied content but also helps academicians to check if the student has cheated from the internet. All you need to do is enter the URL of your content (available with premium Copyscape service only) or you can copy it whole and then paste it on the website to generate a report containing all the links to the websites which have copied your text on their website. Without using Copyscape it would take you a huge amount of time and efforts to figure out the websites which copy your content and perform searches for the same on the internet for your content. And you may still skip some of the websites which may copy your words. While Copyscape comes up with links to the websites which have your content within seconds. Copyscape also offers you to place a banner on your website or blog saying that the content on this website is protected with copyscape and thus this may reduce the number of plagiarizers if you place this banner on your website. Copy and paste your content into the text box or using the premium service copy and paste the URL and perform a batch search so that you can check all the content that is on your website. The content you copy and paste should be at least 300 words and then copyscape would come up with the links of all the results. Even if there is a single sentence or a part of it copied from your website it would show up in the results and would be highlighted, it would even detect if a few words are used in the same sequence as on your website. If you are using copyscape to detect a few lines you may not get the results with that depth though. Check out your results and figure out the text which has been highlighted and look for more appropriate content which matches the text you already have on your website. Now that you have figured out which websites copy your text you can try contacting them to get the plagiarized content removed but this may take time and you may not get a response as well. In such cases you can report it to Google. Individuals having more than one websites find the Batch Searching process very rewarding. It allows you to search many websites at a single click and you may resume your work once Copyscape starts searching. When the whole process ends, copyscape would send you an email with all the details of the search. You can integrate copyscape into your website or blog. It can be easily integrated to your content management system such as WordPress. This would save you the effort of logging on to the copyscape website to check for plagiarism when you are about to post new content on your blog or website. 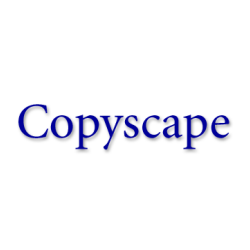 The copyscape website has a forum as well where you can interact with other users as well and get more ideas to prevent your website from content theft and what you should do if you that someone has plagiarized your content. One of the most beneficial application of copyscape can be getting backlinks to your website. Yes you can get backlinks to your website by using copyscape! Amazing right?! We all want to increase the number of pages which hyperlink to our website so that we get some more traffic on our website, Using copyscape you can trace who has your content on his website and contact him with a message to remove the content or post the link to your webpage where the content originally comes from with proper citation and credits given to you or your website for the content copied. You can use copyscape along with other SEO tools to check out the website rankings of these websites and using this page rank you can decide whether it would be worth contacting the plagiarist and getting a link to your website added. In case you can’t find any way to contact the website admin you can perform a WhoIs look up to get to them. The Copyscape Premium version costs 5 cents per search and is an advanced version of the free version of the copyscape available. It allows you to work with a team of editors at a minimum cost. Manage all your cases of plagiarism until they are changed, removed or credited. Premium API ensures all your pages are protected. And with this premium version you’ll be able to find more copies of each page searched comprehensively. Copyscape is the best tool available online for preventing Plagiarism. I would recommend you to give it a try and you won’t regret using it. That’s all for now. Do share your Copyscape experiences with us in the comments. Toodles!! Posted June 26th, 2014 in Content. Tagged: anti-plagiarism tool, backlinks, content duplication, content theft, copied content, copyright infringement, copyscape, plagiarism, protected with copyscape.